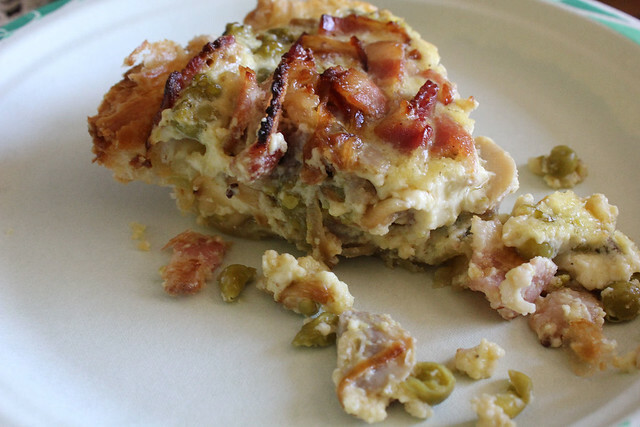 Anyway, with all this calorie counting I'm just glad that I have great blogs that I follow because Debbi at Debbi Does Dinner Healthy has saved me a ton of time but having delicious recipes at my disposal with the calorie count already factored in. YAY for Debbi. We tried this one tonight and it was soooooooo good. I am not kidding, it was delicious. 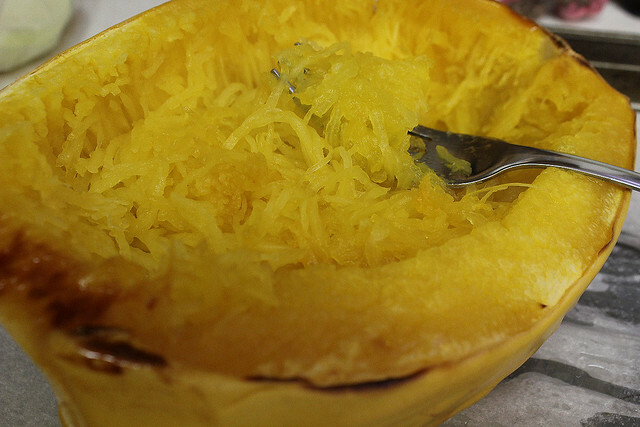 Don't let the Spaghetti Squash scare you away, I am telling you, try it and then let me know just how good it was. 1 large spaghetti squash, 2.3 lbs. Classico Garlic Alfredo Sauce, 15 oz. Chicken, cooked & chopped, 9 oz. place on baking sheet with a bit of water. Roast in oven at 375 for about 45 min - 1 hour until done. 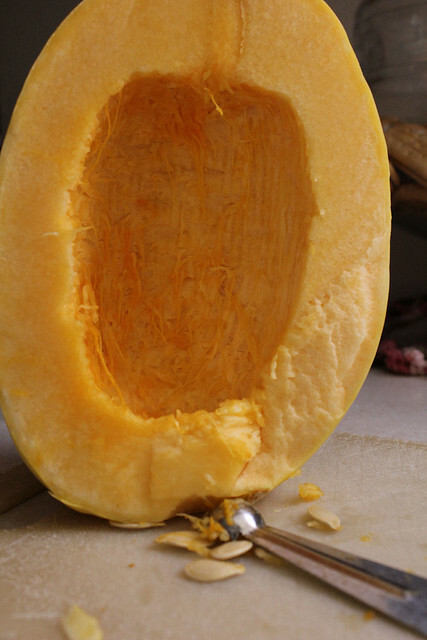 Let cool and scrape squash into a 9 x 13 pan sprayed with cooking spray. Cook bacon until crispy. Crush when cool. Saute onions in the small amount of bacon grease in pan. Spray with a bit of cooking spray if needed. Sprinkle with salt and pepper. 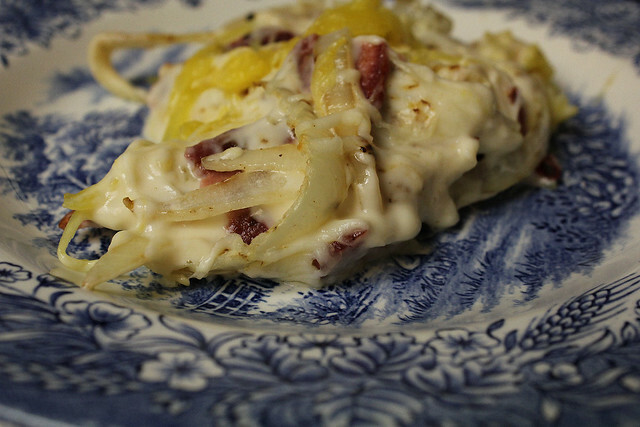 Top squash with Alfredo Sauce. Sprinkle one cup of mozzarella cheese. 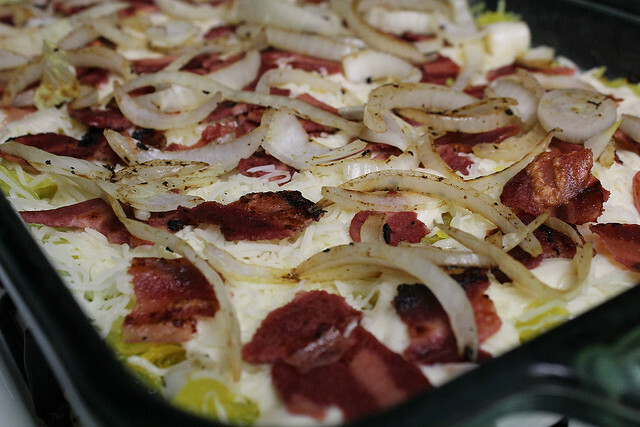 Top with chopped chicken, bacon and sauteed onions. 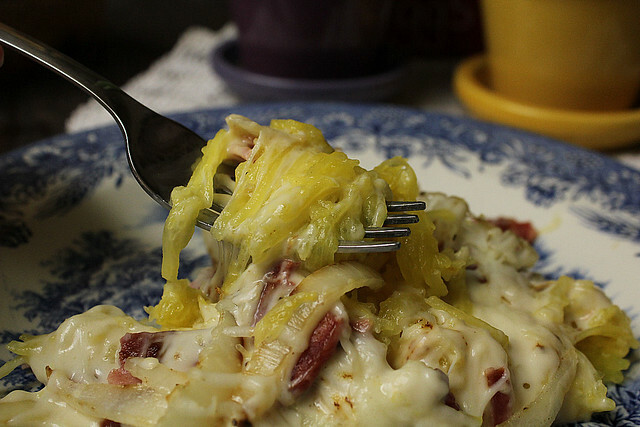 Top with remaining one cup of cheese. Bake in oven for about 25 minutes at 350 until heated through and cheese is melted. 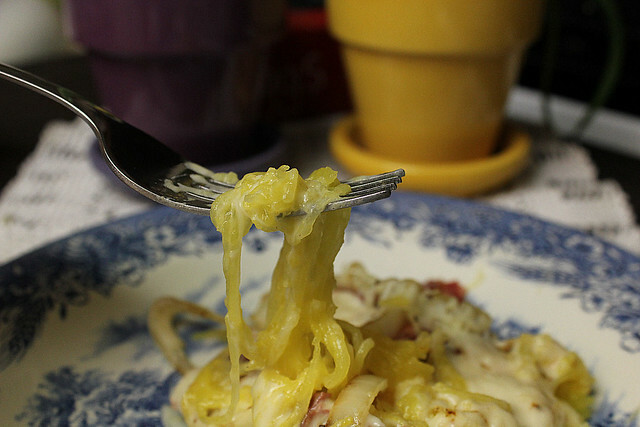 If you are interested in learning more about spaghetti squash, how to cook it, nutrition facts and such, be sure to check out this amazing Ultimate Guide to Cooking Spaghetti Squash over at Quick Easy Cook. I'm sure many of you out there already know about these and probably make them for your family too. But for those who have never tried them, you're in for a treat. 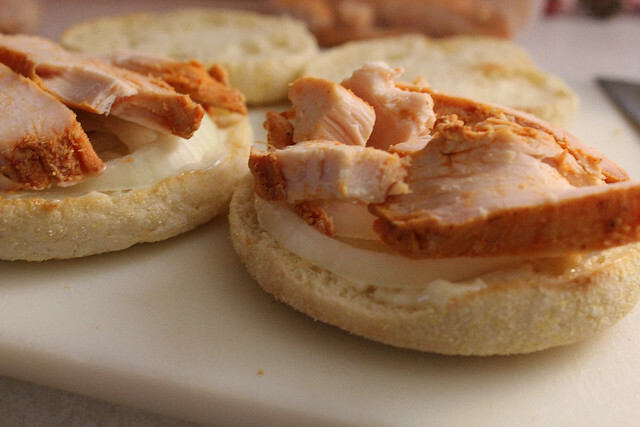 They taste delicious and they're a healthier alternative to store bought ice cream sandwiches. I make the plain vanilla ones but I've also been known to throw some chopped nuts into the cool whip. Yum. 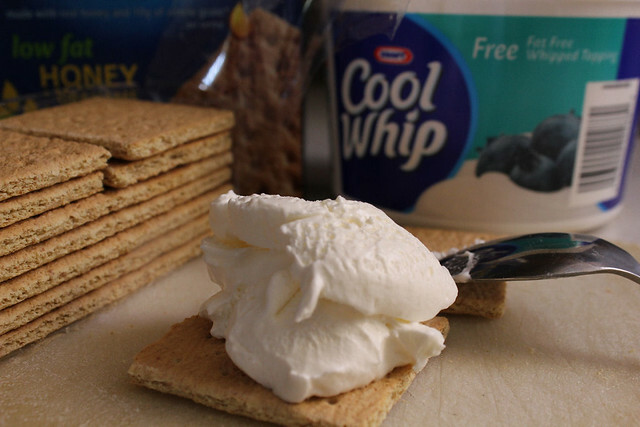 Thaw the cool whip in the counter until it gets soft. You don't want it watery, just soft enough to be able to scoop onto the sandwiches. 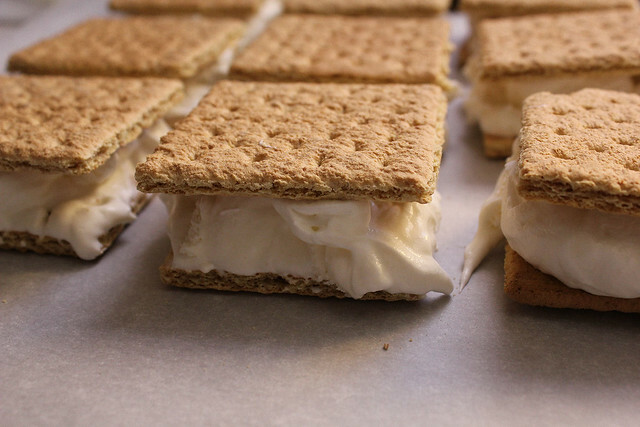 Break the graham cracker in half, then spoon on 1-2 tablespoons of cool whip. Place the other half on top and gently squeeze down to distribute the filling. 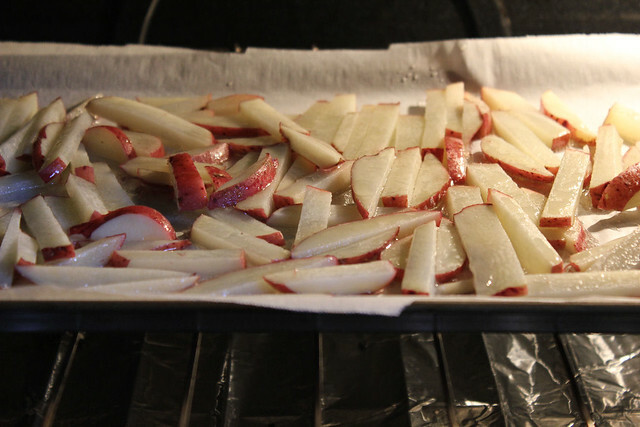 Place on a cookie sheet lined with wax or parchment paper. 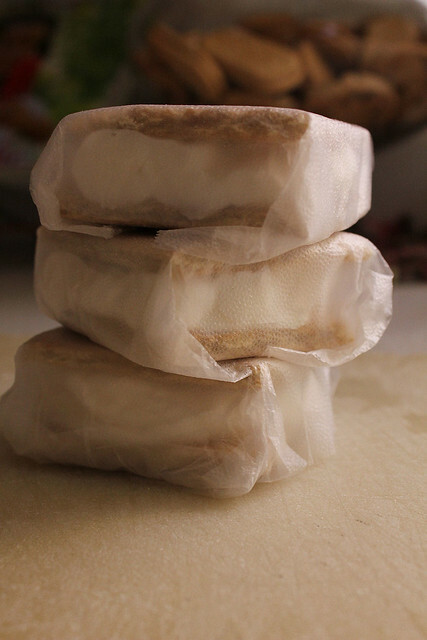 Pop in the freezer until frozen solid, then remove and wrap each individually in Cling Wrap. Freezing them first before wrapping will ensure that they keep their shape. These are no only delicious but make a great snack, lunch or even light dinner served with a salad. 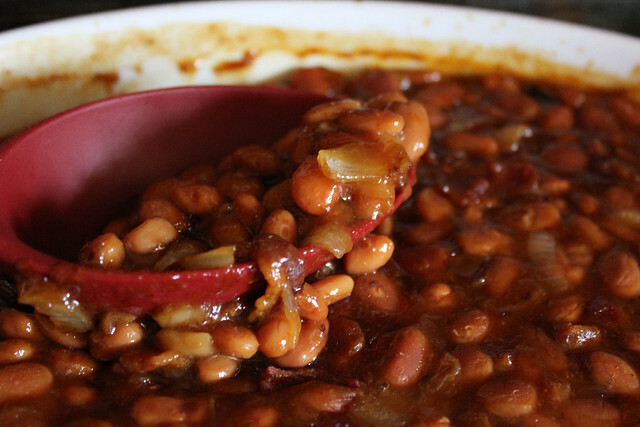 I like to make big batches and freeze them for those days when I'm busy or need a quick meal. 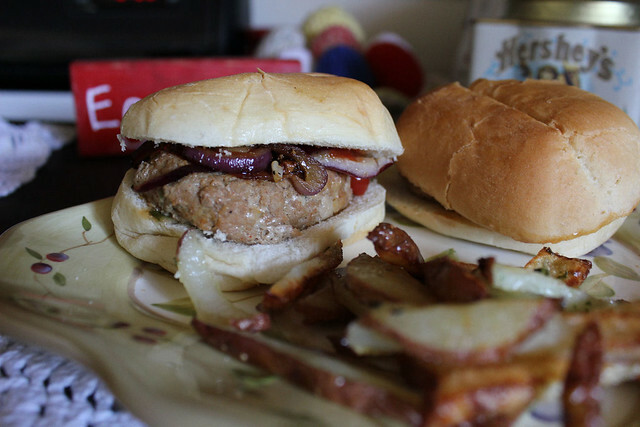 This recipe comes from Prudence Pennywise's recipe but I just adapted it to our liking. With hubby and I counting calories I'm trying to cut here and there and the best part is that these are only 164 calories each. Preheat broiler. Line cookie sheet with foil. 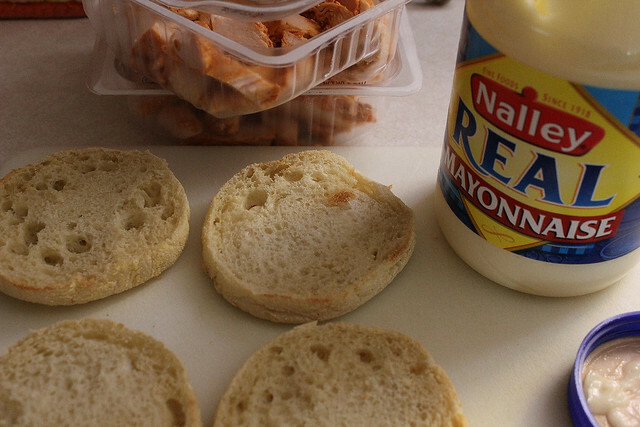 Spread toasted muffins with mayonnaise and place on prepared baking sheet. 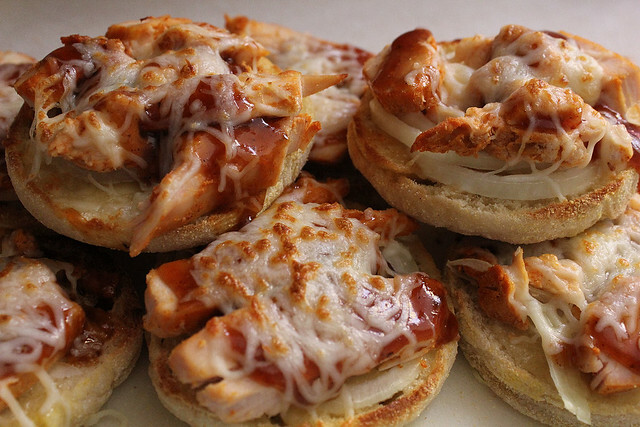 Top muffins with onion slices and chicken. 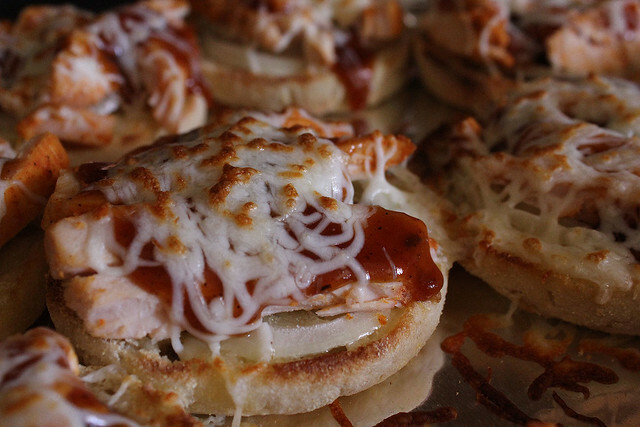 Drizzle each half with barbecue sauce. 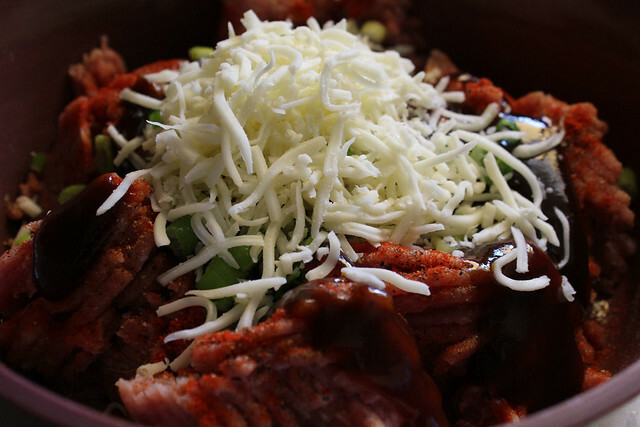 Sprinkle with cheese and broil until cheese is melted and bubbly. If you're freezing, allow the sandwiches to cool completely. Place them on a cookie sheet and place them in the freezer until solid, then take them out, wrap individually or pop into ziploc baggies and place them back in the freezer. 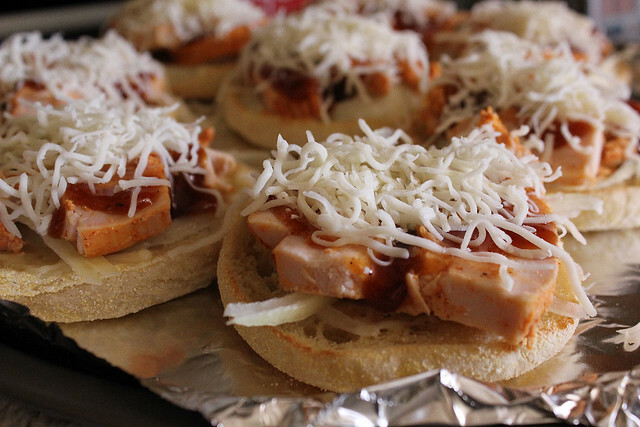 Don't use aluminum foil as metals from the foil may seep into the sandwich during freezing. To re-heat, let them thaw out completely then pop them in the oven or microwave for a few minutes just until heated through, don't nuke these immediately after removing them from the freezer or you'll end up with a soggy yucky mess. 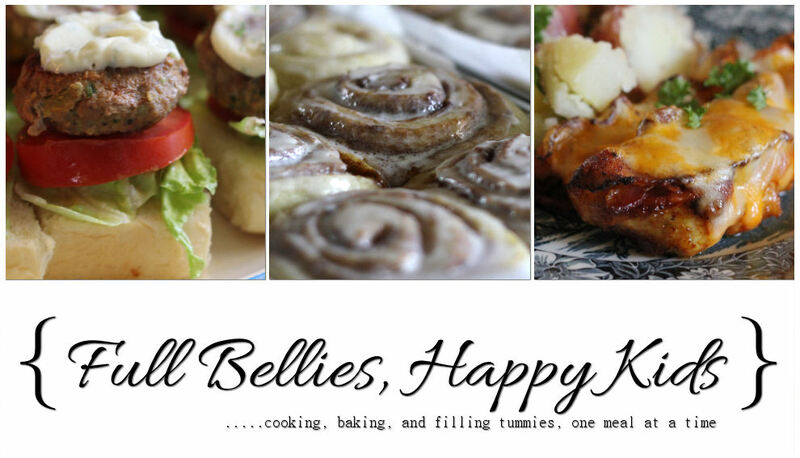 Are you looking for a quick week day dinner using just a few ingredients? Then this one should suffice. 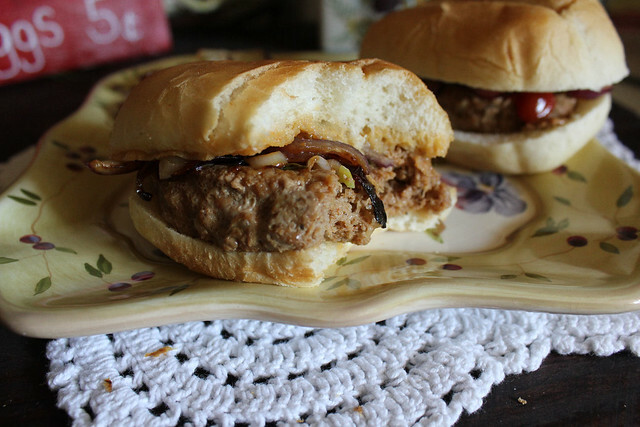 We love Teriyaki and I always have bottles in the pantry especially for days when I want a super quick meal thrown together but don't want to sacrifice good tasting food for it. I don't really have a recipe for this, it's just a throw together of things, so let me see if I can put it down into words, it's not easy. 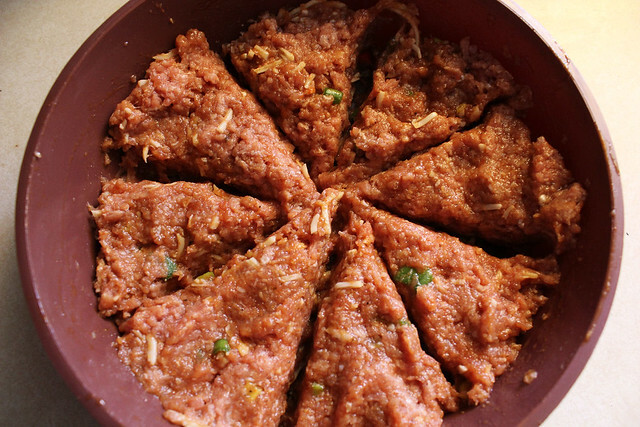 I grew up watching my greatgrandmother cook and she didn't have recipes or precise measurements, it came from her head, it came from her heart and she put on the table delicious meals time and time again. Cut the steaks into bite size chunks and put into a bowl. 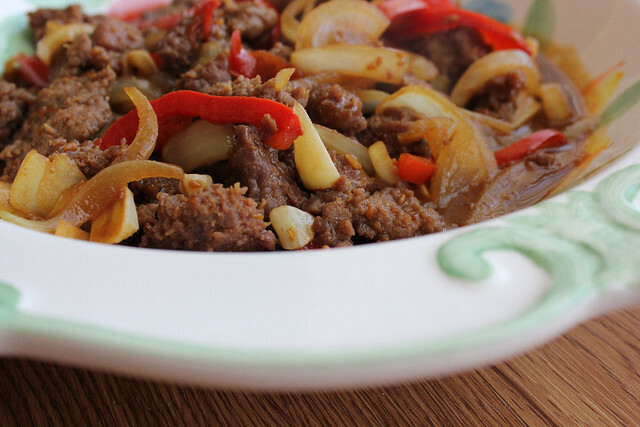 Slice the onions, red peppers and garlic and add to the steak. 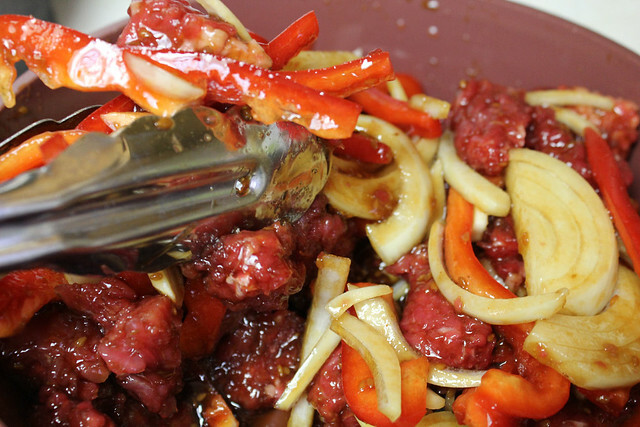 Pour in the teriyaki sauce, the amount totally depends on how much you want. If you only want a little bit, then only add a little, if you like it saucy like we do, then add in more. Stir together until well combined and let sit for at least an hour or until ready to cook. 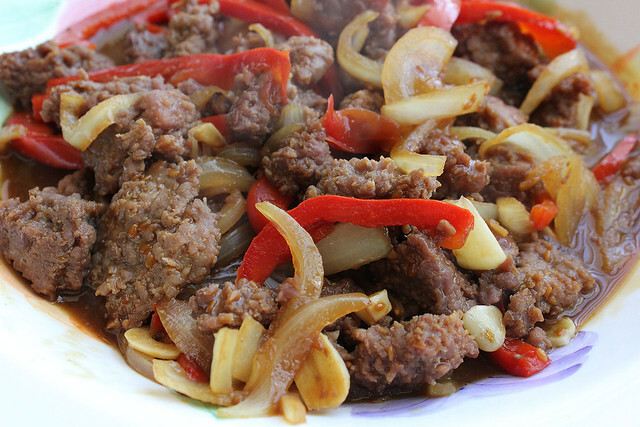 Fry on a non stick skillet until meat is cooked through and brown and onion and red pepper are cooked but still retain a little crunch. This is a super easy drink to make, the worst part is the waiting period while it infuses together the lemon and the vodka, but once it's done, it's SO good that you'll always want to keep a jar of it in the house, especially if you want a delicious drink to enjoy with your friends on a hot day. I just started another batch today so I'll have to wait a week before I can continue, but I'm leaving the recipe for you and you can go ahead and start one too and we'll meet back here in a week to see how it's going. Deal? 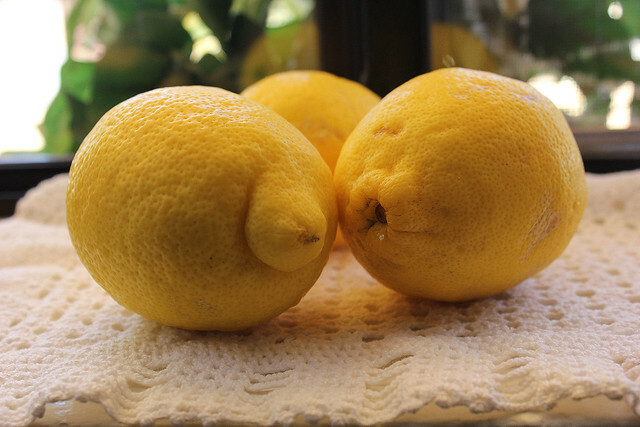 There's quite a few recipes for Limoncello but this is how I make mine. 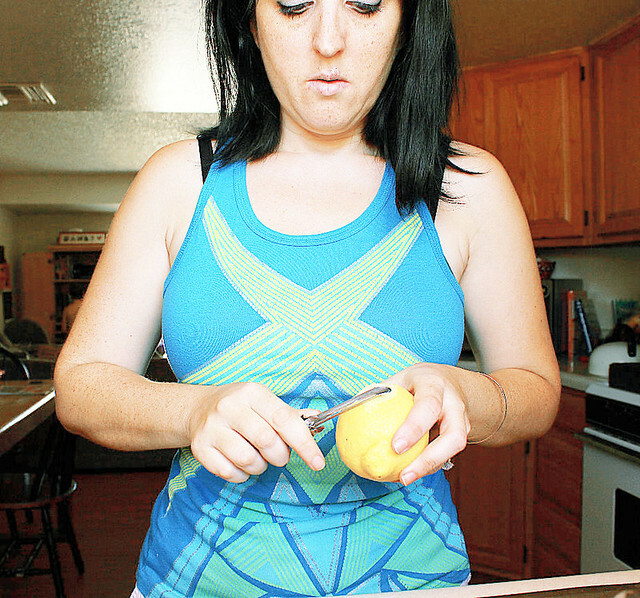 Wash the lemons well, then peel, only the outer yellow part, you don't want any of the white. I've found for myself that the easiest way is to use a potato peeler. Works for me. You're going to need a big jar with a tight lid. Put the peels into the jar and pour the vodka over it, close it tightly and then place it in a cool dark place. I keep mine in my pantry. Let it sit there for a week so that the peel infuses into the alcohol. When the week is up, your vodka should be nice and yellow and the peels will look almost white. Put the peels in a large jar and pour the alcohol over them. 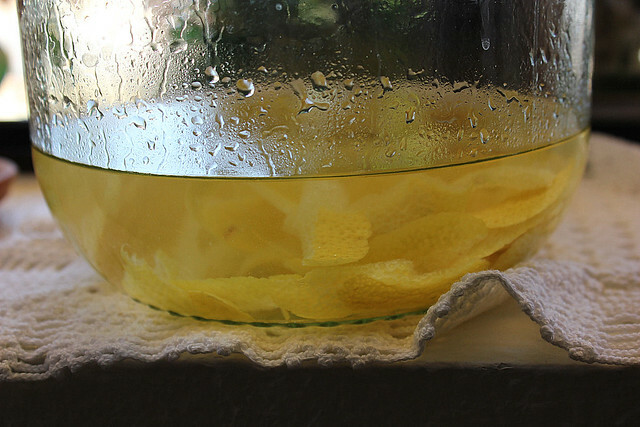 Put the lid on the jar, set it in a cool, dark place, and let the peel infuse for one week - you'll see that by the end of the week, the alcohol will have turned yellow, while the lemon peels will have lost their color. In a saucepan mix the sugar and the water over low heat until the sugar is dissolved. Let it cool down. Pour into the vodka and lemon peels, mix well. Close the jar again and place it back in a cool dark place for another 3 days. The warm weather means the grills coming out and BBQ's popping up all over the place. 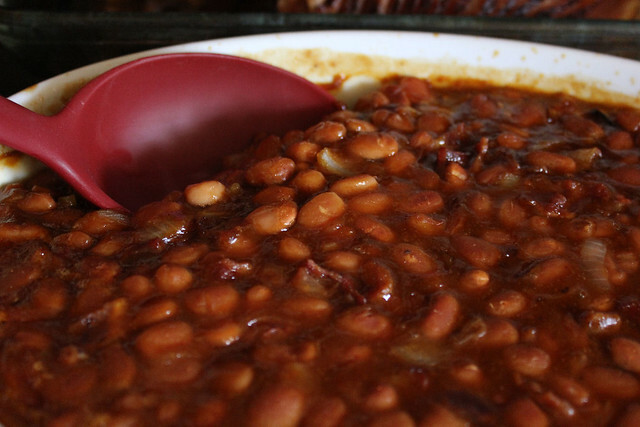 It also means Baked Beans which I just love, but have to really pace myself with these cause I can wolf down the whole pan by myself. 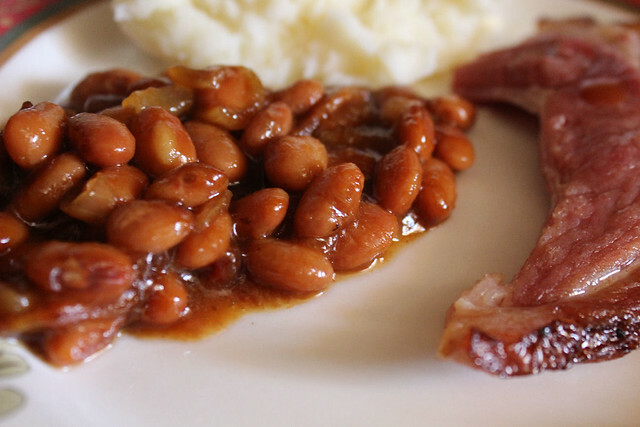 I've tried a few different versions but I still think that Prudence Pennywise's recipe is the best one and the one the family and I enjoy the most. So my hubby and I are trying to lose weight, he because he is military and is constantly watching his weight and also has his upcoming PT test in May, and me, well, because I love the man and I want to help and support him. But it's not always easy, I absolutely loathe the word diet and I hate being told what I can and can't eat because the minute I know I can't eat it, that's when I want it. With that in mind, I'm doing this the easy way, I'm counting my calories, I'm drinking only water but I'm still enjoying my delicious food. It's not that hard if you cut a few things out and search for the low fat ingredients and if even if you don't, just eat in moderation. Grill on a medium to hot fire for about 5 minutes, turn and grill for another 5. You can baste them with some more barbecue sauce at this point but if you're going for low fat, low calorie, then skip that step like I did. When they're done, remove and place on dinner rolls. 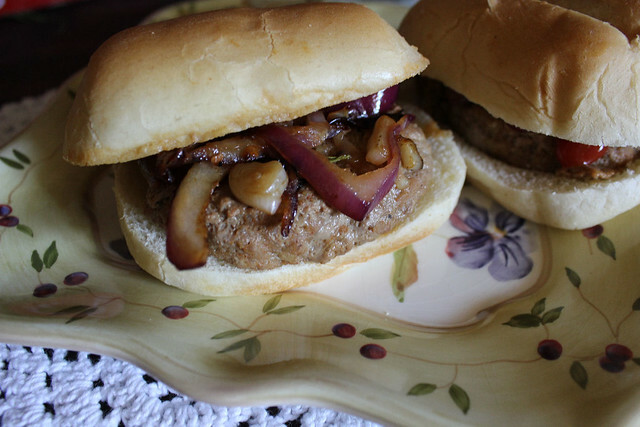 Fry up some onion slices and top the patties with it. 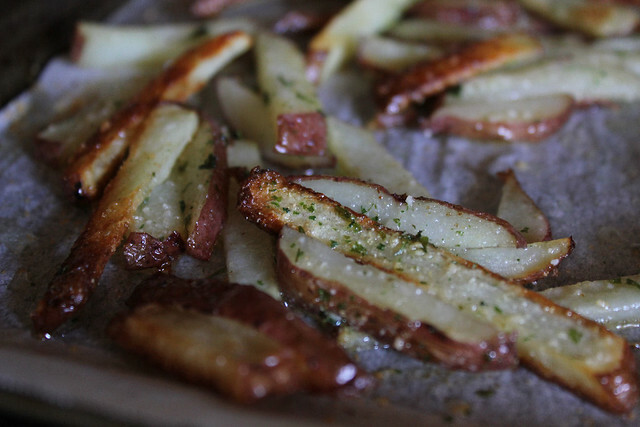 Easy to make, healthier than frying and delicious to boot. 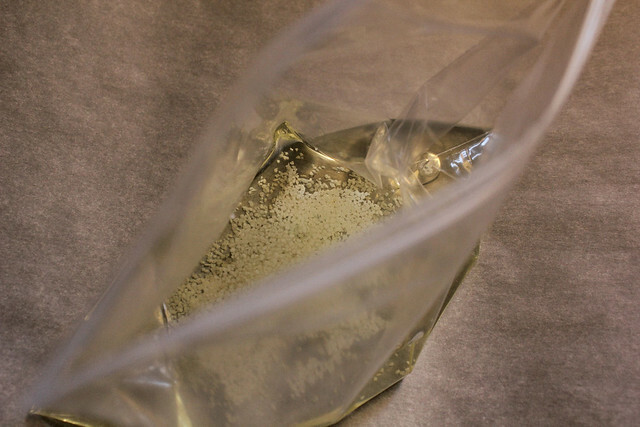 In a medium ziplog bag, add the oil and salt. drop them into the ziploc a few at a time, close tightly and shake well to coat completely. 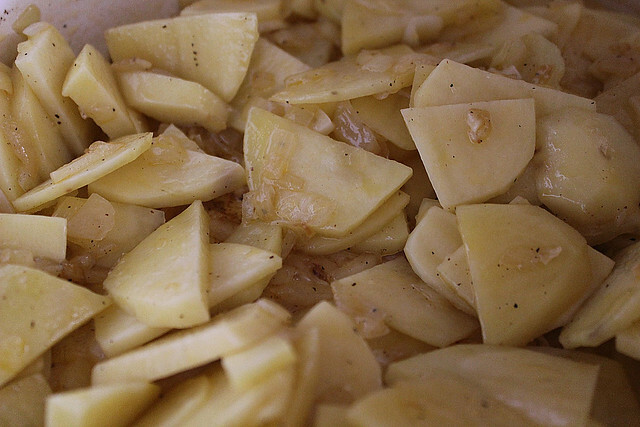 If you're going to be making a big batch, drop the potatoes into a bowl of water so they don't become dark. 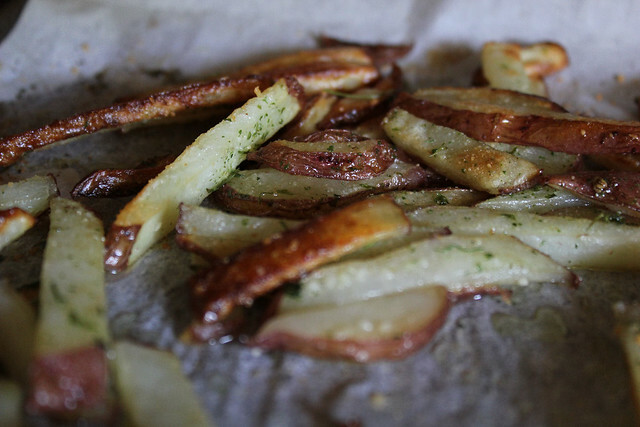 Lay the potatoes on the baking sheet in a single layer, try not to overlap any it will make it easier to cook. Bake for 30 minutes at 400 degrees. Pull out, turn them over, sprinkle on garlic powder, parsley and parmesan cheese, place back in the oven for another 20 minutes or until nice and brown. 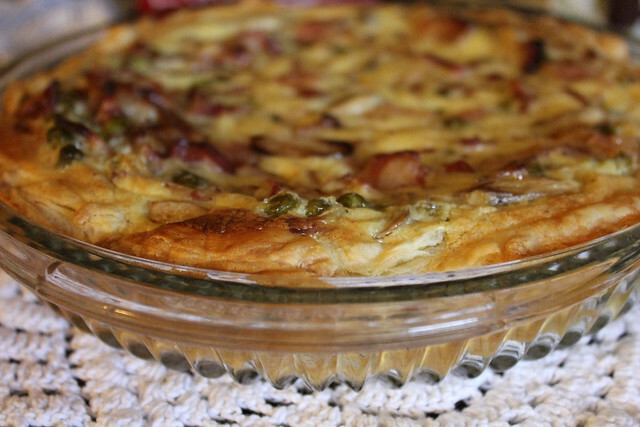 I love the versatility of pie crust or in this case, puff pastry which really does help me when I'm looking for a quick meal. 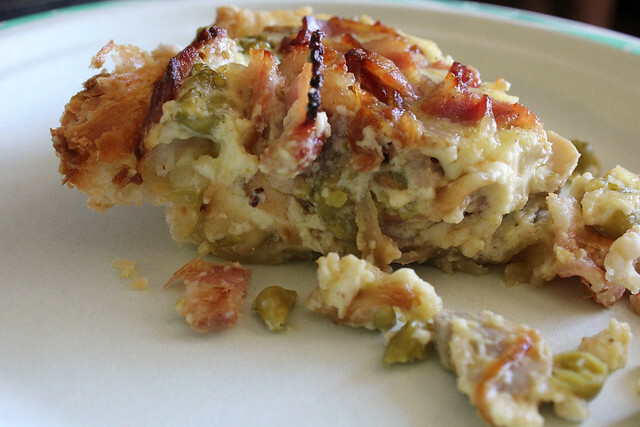 This is just a "throw whatever you have into a crust and bake until golden" kinda recipe and that's the beauty of it, because you can add whatever you have on hand, you can use up leftover chicken, or roast and those veggies you have in the fridge that need to be cooked up before they go bad. 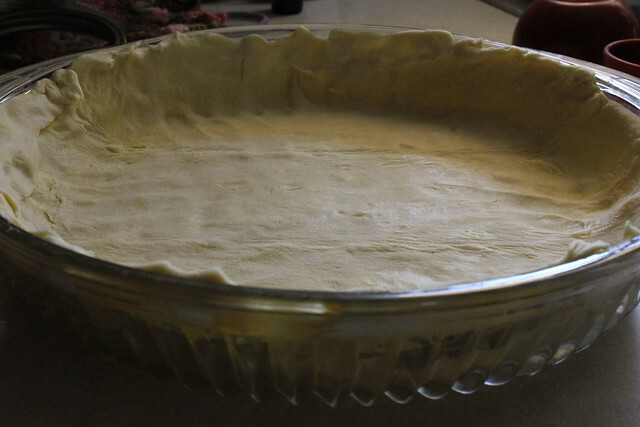 Place puff pastry into pie dish and press firmly against bottom and sides. 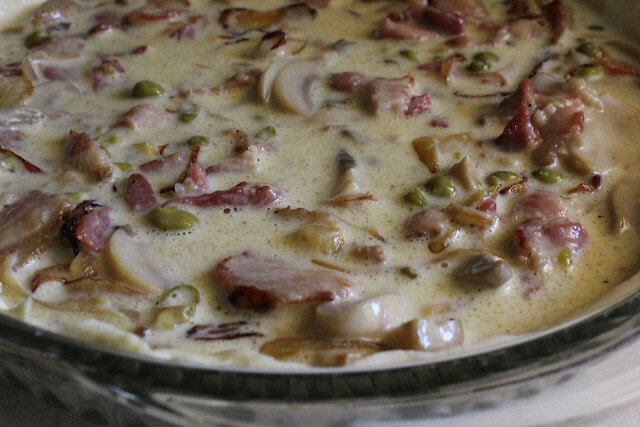 If you need to, you can use the excess dough from one area to cover the other. Just make sure you press firmly to seal together. 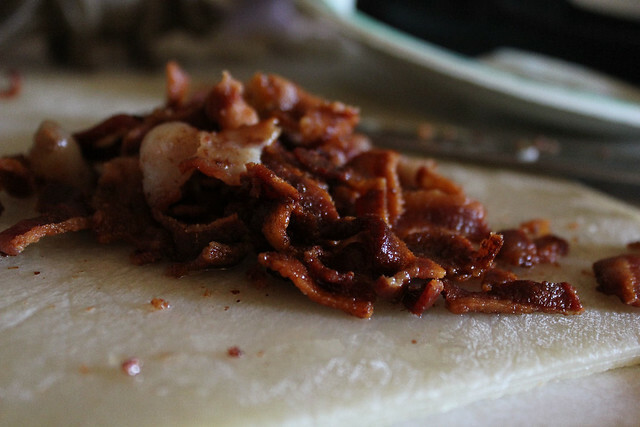 In a skillet, add the olive oil and the butter, add the bacon and onions and cook over medium heat for about 10 minutes or until onions are translucent and bacon is starting to crisp up. 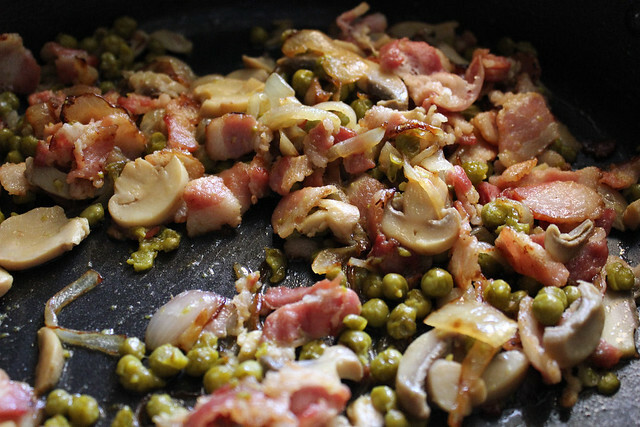 Add the peas and mushrooms and stir well, cook for a further 5 minutes for the flavors to combine. 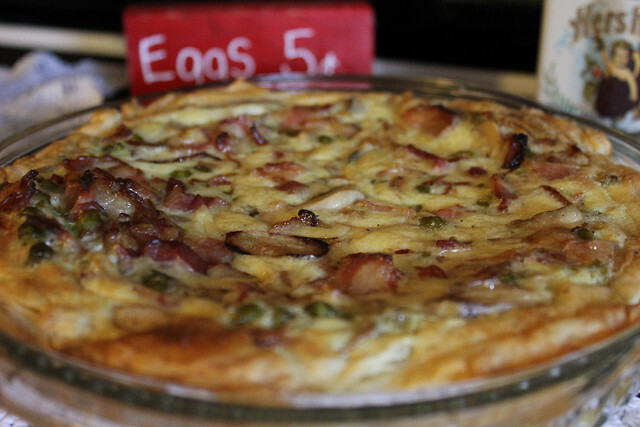 In a medium bowl, beat the eggs, milk and cream together, stir in the bacon mixture and season with salt and pepper. Pour into the prepared pie crust and pop into a 375 F oven for about 30 minutes or until dough is nice and golden brown and cooked through. If you wish, you can insert a toothpick near the center, if it comes out clean then it's ready. I have no patience or energy to be in the kitchen today, my throat is really hurting and my body aches and I just want to go to bed, but alas, I can't until the family is taken care of and that includes cooking dinner. 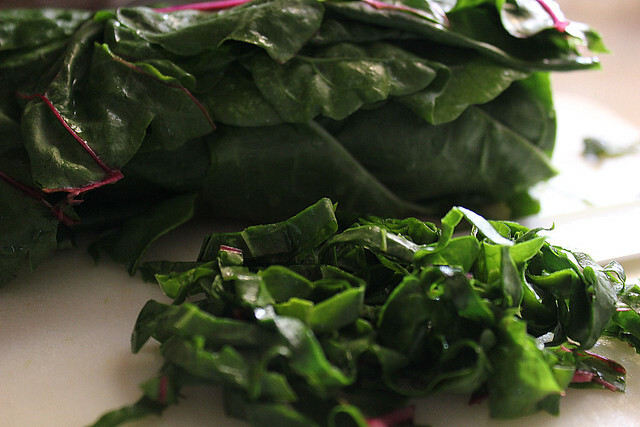 So, something real quick using some wonderful Swiss Chard that my friend Katrina brought over from her garden. 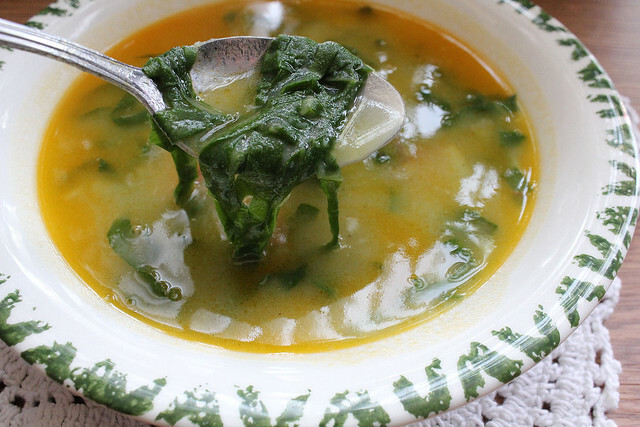 Typically this recipe is made with Kale but when you don't have any available you can use Swiss Chard, Collards or even Turnip greens, but do try to get some Kale if you want to make it as close to the original as possible. 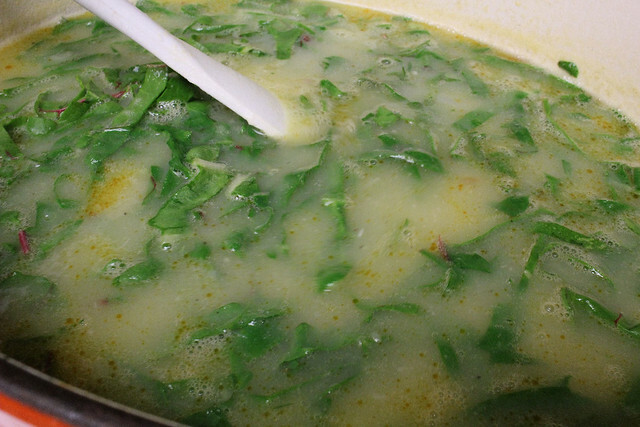 Trust me though, no matter which kind of greens you use, this soup will always turn out delicious. 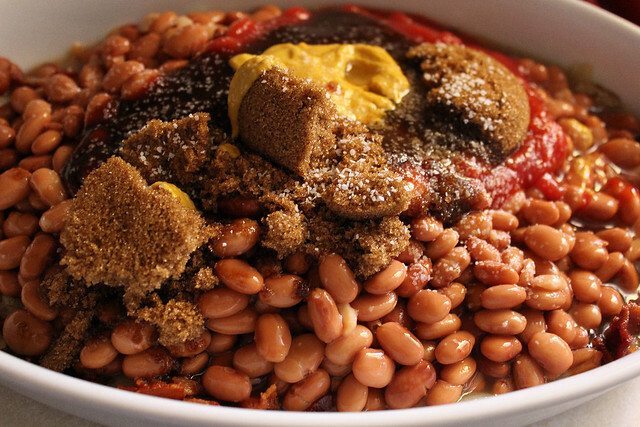 My children love it and can't get enough, it's the one soup that I see them truly enjoying and licking their lips. 1. 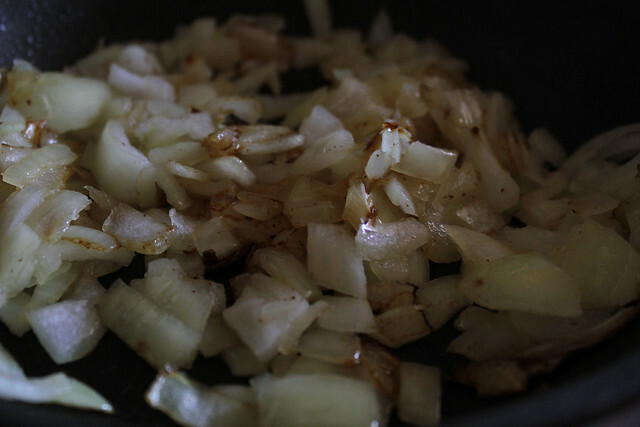 In a large saucepan over medium heat, cook onion and garlic in 3 tablespoons olive oil for 3 or 4 minutes. 2. 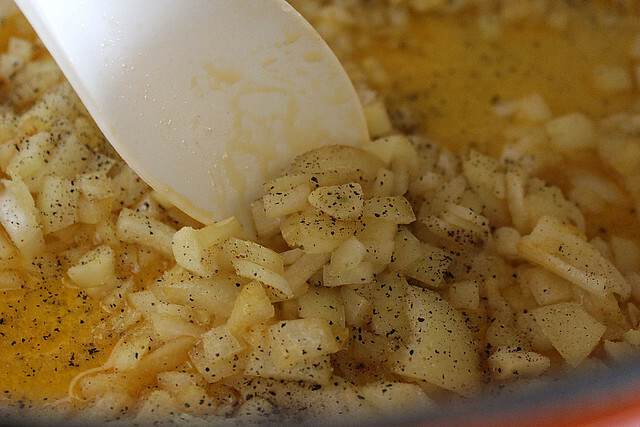 Stir in potatoes and cook, stirring constantly, 3 or 4 minutes more. 3. 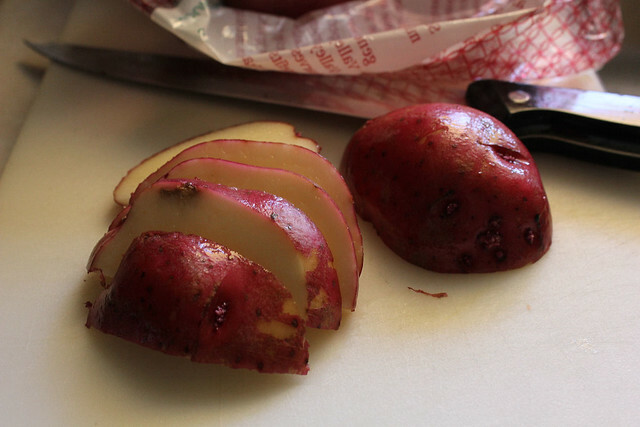 Pour in water, bring to a boil, and let boil gently for 20 minutes, until potatoes are real mushy. 4. 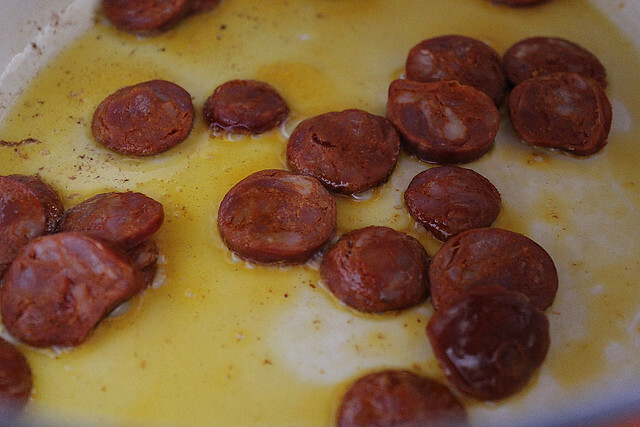 Meanwhile, in a large skillet over medium-low heat, cook sausage until it has release most of its fat, 10 minutes. 6. 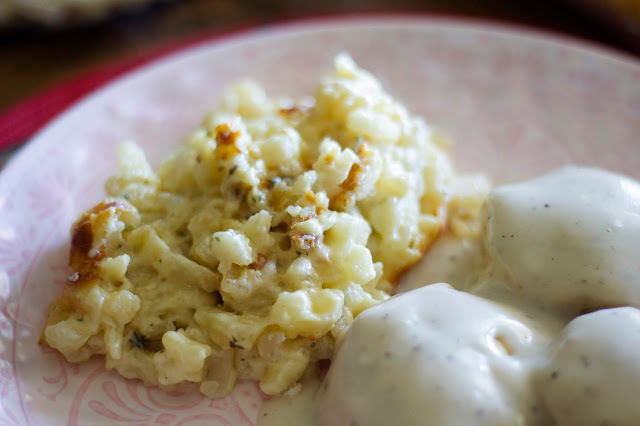 Mash potatoes or puree. 7. Add the sausage, salt and pepper into the soup and return to medium heat. 8. Cover and simmer 5 minutes. 9. 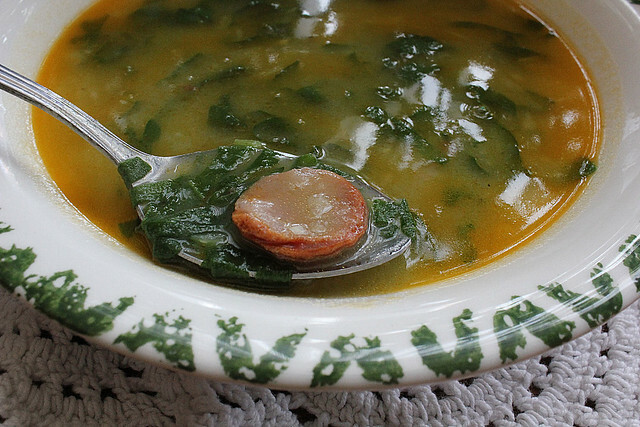 Just before serving, stir kale into soup and simmer, until kale is tender and jade green. 10. Stir in the remaining tablespoon of olive oil and serve at once.